The Seminary moved to Cardross in 1966 but is currently back in Glasgow. Cardross Seminary is listed – Grade A – and was commissioned by the Archbishop of Glasgow in 1958. In general I’m not a great fan of modernist architecture but I feel that this example should be preserved as an example of architecture of a particular time. I’m dismayed that many people don’t consider keeping examples of modern architecture and see them as merely carbuncles on the landscape. It’s not the prettiest of buildings and this seems to be highlighted even more with the beautiful rural setting. Ideally, I would love to see the college cleaned of graffiti and being used as an art venue/local tourist facility. Realistically, there’s not much that can be done with the college, the location is against it and the land is ideal for executive homes. I believe the only way forward is to leave the site as it is and let nature take its course. Unfortunately, I think it would only be a matter of time from the developers building their new houses to the seminary being destroyed in some ‘mysterious’ way so that more land was available for development. Just why would someone be interested in saving an abandoned modern building that, apparently, no one in the past 30 years has been able to find a new use for? Emma Watson touches on a very interesting point about Cardross. In many ways the most relevant if the Seminary is to be saved and that is, why is it so important? In all the discussions and debate surrounding the buildings, architects and supporters have taken it for granted, I feel, that the public must also appreciate it’s significance. However, this can’t be taken for granted. 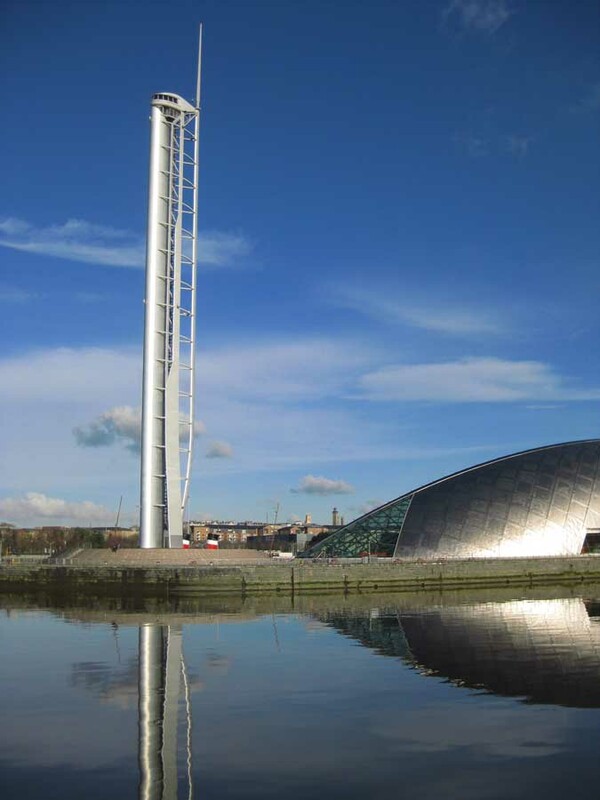 The most pressing thing the new trust has to do over the next few months, is convince people in Scotland, who are already sceptical about modern architecture, just why it should be saved. Cardross needs an advocate. A populist and communicator, someone who cares passionately enough to promote it in the press, on radio and on television. Like Gavin Stamp did for Alexander Thomson. Maintenance as a ruin isn’t an option in this individual’s opinion. The building is clearly of some not inconsiderable architectural merit, but this in itself would not justify the significant strai on the public purse of making it safe. Being a relatively young building it is of course at a disadvantage in being seen to be of less historical importance than its elder peers. This is of course largely false, it does represent an important part of Scotland’s (rapidly vanishing) christian culture, but I still feel that even a refurbished St Peter’s would struggle to pull in visitors in any significant number. The question of vandalism (as evidenced in the photographs) and public safety would need to be addressed. Questions with no ready (or cheap) solutions. No. Better then to put St Peter’s to some productive use. Particularly when we have a developer waiting in the wings to take the project on. Now, I’m not in posession of the full details of the proposals, but I would struggle to find justification in turning them down. A drowning man does not pick his rescuer, provided suitable conditions are placed on the Altar room, clearly the most spiritually and architecturally significant space in the complex, specifically in maintaining it as a public space, then this is not an opportunity to be missed. PS substitute “Castle Tioram” for “St Peter’s” Vis a vis that particular argument. Cardross. It is a seminal piece of work, a virtuoso performance by two of Scotland’s best architects of the post war period. A building that stands head and shoulders above so much of the rest of what was happening in Scotland at the time. I first saw the seminary in the early 90’s, several years after a visit to La Tourette, and a couple of months after having returned from being impressed by the work of Corbusier’s disciples in Japan. Imagine my astonishment, that here in my own backyard, was an achievement the equal of these. Since that first encounter I have been a passion advocate for the building. It has been three decades since the complex functioned as its intended use, three long decades marked by neglect, decline, erosion, and decay. During those years many unsuccessful attempts have been made to find an alternative use for the building. All frustrated one way or another, if not by the inflexibility of the building, then by the intransigence of one or other of the groups connected with it. All the while the decay continues and it looks as though history is again repeating itself. If, as Penny Lewis stated in her recent letter to the Herald, the Catholic Church successfully thwarted attempts to have the building included in the last series of BBC Restoration, then that is indeed disappointing. At least such a platform would have allowed the wider public an opportunity to appreciate this rewarding work. Mind you its lack of inclusion is hardly surprising given the Catholic Church’s sensitivity to criticism, and their track record with regards to post war Gillespie Kidd and Coia work. The contrast with the enlightened climes that commissioned these works is revealing but doubtless the catholic hierarchy will justify this by pointing out the failure of the architect’s detailing and the cost of maintenance and up keep. All of which are fair points but I can’t shake the feeling that the Church is desperate to be shot of something it regards as a liability and that neglect is an easier option than action. Despite my admiration for the building I am beginning to come around to the point of view that you eloquently expressed in your piece. I first began to think this when Kilmahew House was demolished in 1995 after an arson attack. Most of the focus of present day commentators has concerned the Gillespie Kidd and Coia work, but forget the central component of the complex was the Scottish baronial mansion by John Burnet senior. Andy and Isi, after all, set out their building so as to form a courtyard around the original mansion, a romantic and picturesque move that belies their modernist rejection of history. Surely the element of interplay and counterpoint between the two styles and epochs was just as essential an ingredient of the complex’s success as a design as the nave, the altar, the stepping terraces of monastic cells, and the floating classroom block? I have to admit, though, that it is a testament to McMillan and Metzstein’s skill as designers that despite this loss what remains of the complex is still as convincing. 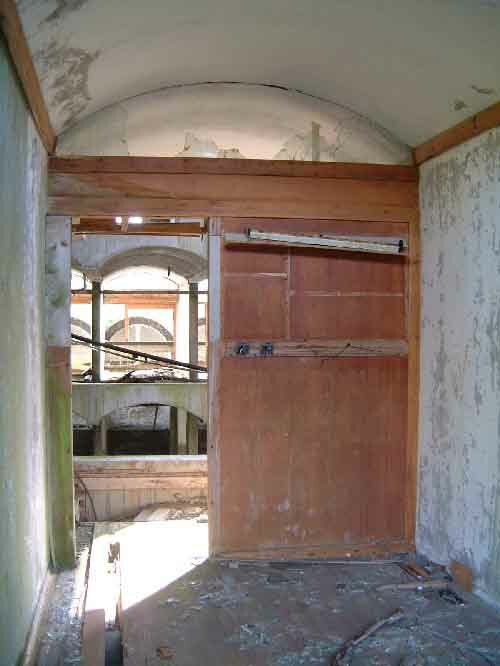 Perhaps it is indeed too late for Cardross Seminary, and it is time that we let it go. It has suffered such bad neglect and if the current plan is rejected no clear solution is in sight. Whilst I have sympathy with the trust and respect their change of mind over the current proposals, the reality is that time is running out. I do understand their feelings with regards to the proposed strip out though. If this takes place it is arguable that the building will lose what remains of its soul. However, the building, as it currently stands is in a perilous condition, and what is left is in such a poor state of repair that it’s become a catch 22. If it is not made wind and watertight it can be only a matter of time before these features are lost anyway. Perhaps, baring demolition, what is proposed is the only way forward? 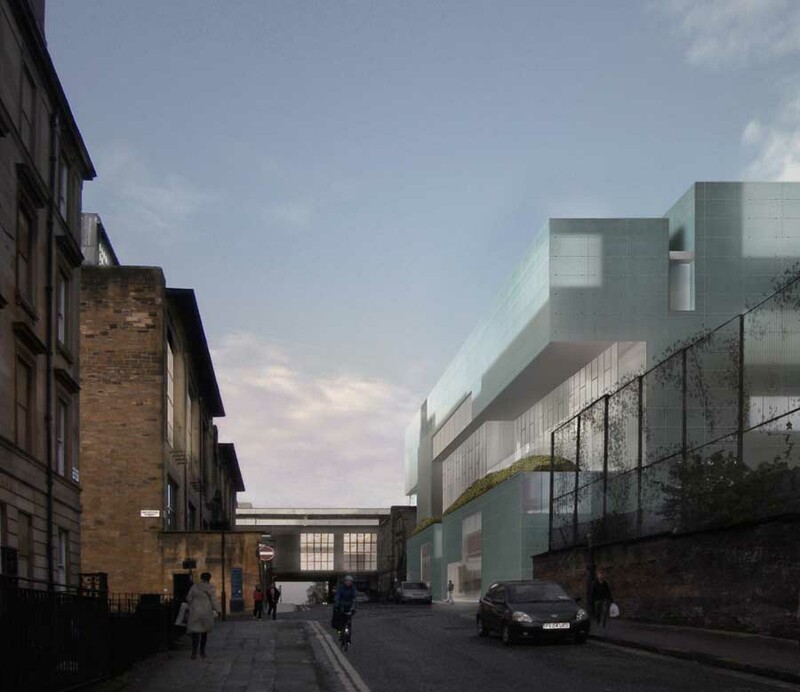 Having said all that I would feel more comfortable with the whole situation if the developers published what they are proposing so that the wider Scottish architectural community can debate its merits. I don’t know whether this question has been asked here before but why do we not have a permanent museum/exhibition which is a showcase for Scottish architecture and urban development? ; with models, drawings, photos, reconstructions etc of quality buildings lost, never built, mistakes and proposals – like the museums in Oslo and Stockholm where locals and tourists can learn about the built environment of the country. Should the Lighthouse not house this kind of facility? I was very disappointed when it opened and did not have a permanent contextual exhibition. 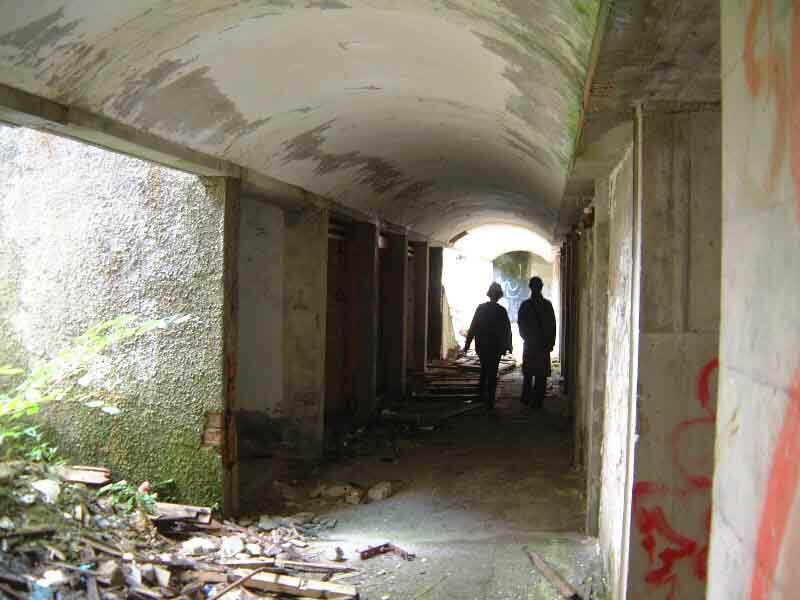 Buildings like the Cardross Seminary could then be remembered as they were (in some form at least) and their importance promoted to a wider public. Certainly the Mac school has an excellent collection of models and there is more than enough material around to, at the very least, form the start of a permanent exhibition without prohibitive cost….. if there was some co-operation from all parties. The architecture schools could even contribute yearly with their dissertation material (the reason the Mac has so many models) and might this also contribute to the research which seems to be a necessity these days in assessing the quality of universities? Much as I love Mackintosh, he is not the only architect of quality that Scotland has had and I find the exhibitions at the lighthouse often lack the depth or context a permanent wider exhibition would afford. It might also give the Lighthouse more relevance to more people. If we don’t do it soon we’ll probably end up with a Scottish museum of architecture, in Edinburgh again! …am I stating the obvious? I personally did not feel that the stripping and stabilisation is a compromise, as I genuinely feel that this is an ideal ‘use’ (or a fitting tribute to the architects) for an otherwise unusable building. This structure could be as relevant and as valuable as the trees and flowers are to Hepworths sculpture in her garden in Cornwall. As a sculptor who has now started working in large scale concrete, can I offer my support for your proposals regarding the stabilisation of St Peter’s Seminary. What a marvellous venue for outdoor sculpture your proposal would offer. In it’s simple, stripped stabilised form it is a sculptural masterpiece in it’s own right and a magnificent backdrop to other sculptural forms. I currently have thirteen sculptures touring the country’s cathedrals and churches – Coventry, Tewkesbury Abbey, York Minster, etc., called ‘Blind Faith’; however, I could not think of a better place to house or display these pieces than the setting of the seminary. As an artist and patron of the arts I wish you luck and any support in this venture. As a co-founder of Saint Peter’s Building Preservation Trust, I have read with interest the correspondence published so far. I would like to offer my own point of view and to address some of the points raised, beginning with our involvement in the current planning application. Initially the Trust welcomed the planning application. In the planning report, we were named as the Archdiocese preferred future custodian of the listed buildings and their immediate site. We had hoped to influence the direction of proposed ‘stabilisation’ through our involvement, but this proved impossible. Neither the archdiocese nor their agents exhibited the slightest degree of flexibility, denying those who feel passionately about Saint Peter’s future from contributing their wide-ranging expertise to the formulation of the application. As Niall Murphy stated, the archdiocese did indeed prevent St. Peter’s from appearing in the second series of Restotoration. We had been involved in a number of meetings and site visits with Endemol, who were extremely keen to feature the college as one of the three Scottish buildings involved. This was blocked by the archdiocese. It seems that the general feeling expressed in correspondence published so far is that there is no realistic reuse for St. Peter’s. Initially this may seem a logical conclusion to draw, given the number of previous failed planning attempts in the past. However, when you examine the individual applications, it is clear that there has not actually been any attempt to find a reuse in the past ten years. Instead, the applications focus on capitalising on the value of the surrounding estate through new residential developments in conjunction with the token ‘stabilisation’ of the existing college buildings. This current application is no different. No architect has been commissioned to carryout a formal feasibility study to asses the market for possible reuses and the sustainable revenues these are likely to generate. In fact, no architect with any experience in working with existing buildings has been commissioned at all. Further more, the planning report does not contain any ‘statement of significance’ relating to the architectural merits of the existing buildings. Both this statement and a feasibility study are prerequisites for Architectural Heritage funding and would form the basis of any serious attempt at regenerating the buildings. Contrary to what John states in his previous letter, there is no ‘developer waiting in the wings to take on the project.’ We were the Trust named to take on St. Peter’s following its stabilisation. Having examined the details of the stabilisation and the financial dowry that would be provided to us, we are no longer willing or able to take on the burden of saving St Peters Seminary under these circumstances. While Cardross could indeed be compared to a drowning man, these proposals in no way represent his rescuer – instead, they will more likely hold his head beneath the water. Is this really the best we can do? Here we have a building that represents Scotland across the world in numerous architectural history books and all we can aspire for it is to turn it into an oversized concrete climbing frame, using it is used as a pawn to realise a quick buck at the expense of our country’s architectural and cultural heritage. I find this so sad, especially given the success of a many recent high profile regeneration projects – London has its Tate Modern, and shortly the redeveloped Battersea Power Station, while the French had the foresight to turn an abandoned Paris railway station into one of the foremost arts venues in the world, the Musee Dorsee. This is what gives us continuity in our architectural heritage. Without this, what is the point of commissioning ‘bold architecture for today,’ as Adrian states, when it will be defunct and deemed worthless thirty years on. What client or financier is going to bankroll such bold projects knowing that future generations will have such little regard for his vision, not to mention investment? In the UK, we are fortunate that the Georgians, Edwarians, and Victorians did not share this sentiment. Not only did they bestow us with outstanding architecture of their own periods, but they also respected the work of previous eras. What will be our generation’s legacy to those who come after us be – Mock-Tudor apartment buildings and faceless PFI-funded school buildings? Saint Peter’s represent the very best of Scottish architecture, its design embodying the high aspirations not only of its client, but also its era. I would encourage anyone reading this to obtain a copy of the planning report from Argyle & Bute Council to see for yourself why the current proposals are opposed not only by St. Peters Building Preservation Trust, but also by the Scottish Civic Trust, the Architectural Heritage Society of Scotland, and the Twentieth Century Society. It is all too easy to accept that there is nothing to be done with Cardross. Ultimately this indifference will be taken as acquiescence, and St. Peter’s will be lost for good. Anyone wishing to actively participate or contribute to the Trust’s activities should contact us though johndeffenbaughiv@yahoo.co.uk. as John states, the logical continuation of this is that we need not rush around trying to create bold new architecture if we then allow it to fall to ruin in the future. I broadly agree but we should consider the many societies that don’t have our hang-ups about saving, protection, restitution, nostalgia and contemplate whether our innovation (and thus the ‘heritage of tomorrow’) is not being stymied by a Janus-like countenance. 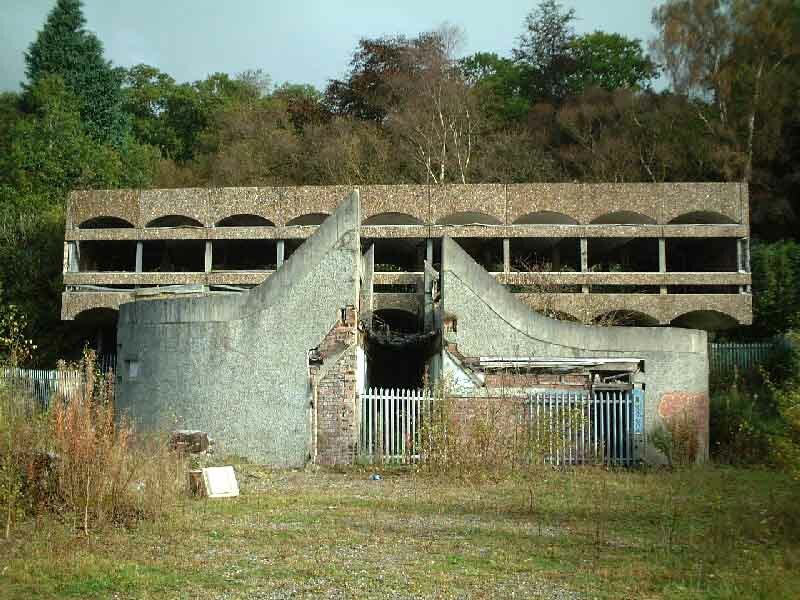 But, Cardross is a ruin. We must focus on creating bold new architecture. We should ensure what is best is not just saved but energetically used and reused. This would surely be within a state-run framework that allows flexibility of use to provide continual care for what are consensually recognised as being the ‘best’ buildings’. but we all know owners can be totally uncaring about their buildings so why do we continue to leave it to chance then campaign when the system inevitably fails? Surely we need to create a state-run legal framework that consensually satisfies both owners and those who care about Scotland’s built heritage. 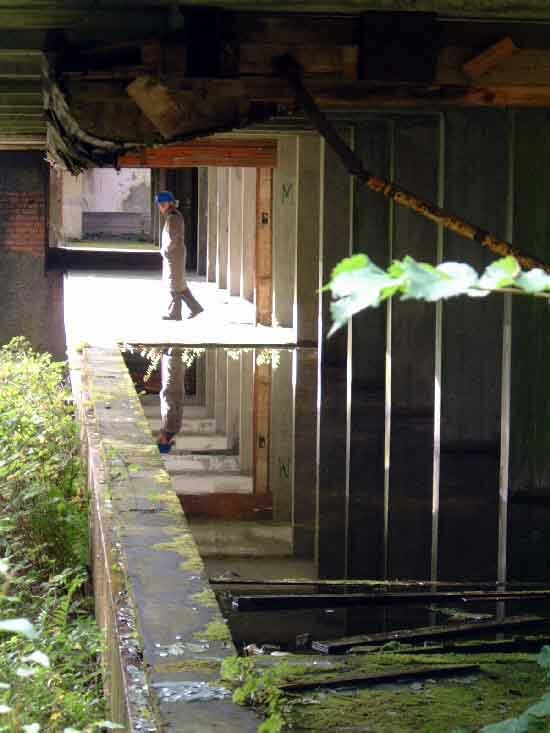 In the particular case of Cardross though, we do wish the Trust every success: if you can source a good developer then you will no doubt have the support of most Scottish architects. However, we must look at the long-term policy nationally so Scotland can more efficiently and effectively exercise control over its ‘best’ buildings – all of them. I would like to add my comment to the ongoing debate. 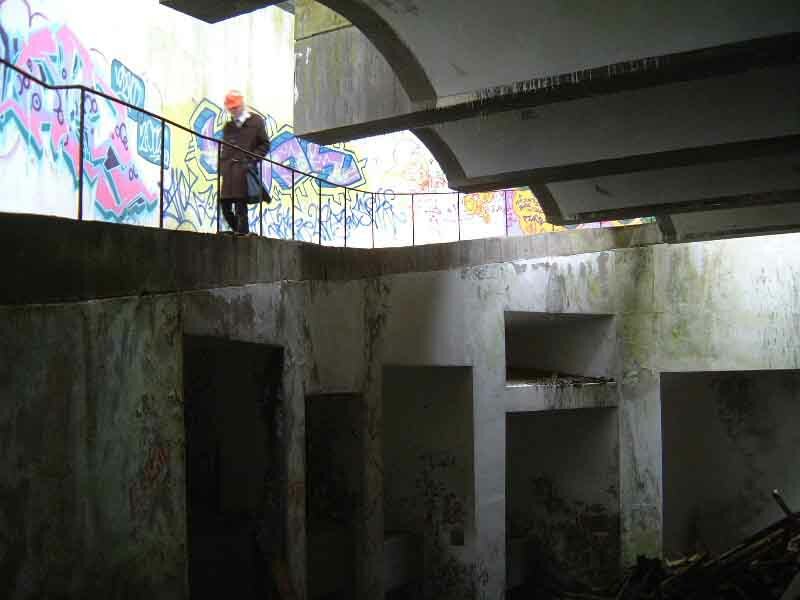 The original design of the Cardross Seminary is so incredibly particular to its’ function that I can not envisage any realistic future use ever being found for the buildings. Particularly given the need to respect the architectural integrity of this category A listed building and the colossal cost of restoration. The seminary has now been a ruin, longer that it was in occupation. I believe that the buildings have now achieved a status (similar to Castle Tioram) where a fundamental part if it’s current significance is, as a ruin. Whilst I share the concerns about the proposed strip-out (particularly with regard to the removal of the vaults etc) the fact is, that this is simply speeding up what is already happening. Leave the building alone for another 10 years and it will be a skeleton anyway. The issue is, that in those intervening years how many people will be hurt (or killed) whilst climbing on the building. I suspect that it is this fear (of casualties and any resultant litigation) that has provoked the Archdiocese to finally accept that they have to do something. My main problem with the current proposals is that it is based on the idea of providing a framework for a future restoration, which I simply do not believe will ever happen. Instead I think that the ethos should be ‘consolidation as a ruin’, as a centrepiece to the maintained parkland. This would inevitably mean stripping out everything that is beyond rescue. But instead of the proposed partial restoration and provision of infrastructure, why not recreate the more important architectural features (the vaults, the floor, the roof, the principle stairs) – not necessarily on a like by like basis, but in such a manner that preserves the architectural integrity of the buildings, ensures their longevity, and provides safe access thought out the complex. These ‘recreated’ elements could perhaps be carried out in accordance with SPAB principles i.e. as clearly identifiable as new insertions. This way the buildings could be made safe, full public access provided, the architectural integrity of the complex preserved, and all at a relatively moderate cost. As cultural commandos, fighting Glasgow’s scorched earth planning policies of self-destruction in the sixties, Gillespie Kidd and Coia (GKC) built an international reputation for innovative humanist modernist architecture. The practice soon became internationally known for its expressive churches, schools and other religious buildings, to the eternal glory of the Catholic Church in Scotland. At least that’s what we thought at the time. Key to Historic Scotland’s position is its assertion that “Appropriate long-term reuse is likely only in a scenario where the full potential of the buildings and estate has been identified and promoted.” This is something that St. Peter’s Building Preservation Trust has explored over the past 8 months while the council have been considering the archdiocese planning application. It has always been our intention to commission a full feasibility study to identify a realistic and feasible future reuse for the college, and to carry out an international marketing campaign. Neither of these exercises have been carried out as part of the current planning application. Much of the ground work has already been done, with a skilled team of consultant’s in place. However, we have been unable to raise much significant funding, due to the ambiguous nature of our relationship with the archdiocese. A feasibility study would clarify once and for all whether it is viable to bring St. Peter’s back into use in the long-term, but what of college’s immediate future? The council and various heritage bodies have been considering the current application since it was submitted in August 2004. During the intervening period, the college’s rate of deterioration has accelerated dramatically, with the collapse of a large section of the roof, while vandals have seriously damaged a major portion of the convent building. In September 2004, the trust commissioned a report to set out the specific actions required to secure the site and to prevent the penetration of water into the buildings. This was compiled by team of specialist consultants with a track record in the conservation of twentieth century buildings, including those by St. Peter’s original architects, Gillespie, Kidd & Coia. It is estimated that immediate works, such as repairing the perimeter fence, reinstating areas of damaged roof structure, providing weather protection to exposed openings, and the installation of security lighting, will cost approximately £1.2 million. Without this, the college will continue to deteriorate to such a state that reuse will become impossible. We are acutely aware of the prolonged and complex circumstances surrounding the college since its closure, and challenges that these have posed to the archdiocese. St. Peter’s Building preservation Trust is keen offer our support to work with the archdiocese, bringing to the table our base of knowledge and expertise in an effort to find an appropriate way forward for the college. Over the past 2 years, we have held talks with established leaders in the fields of architecture, engineering, and regeneration, all of whom care deeply about St. Peter’s future. Furthermore, we have been approached by several reputable developers with a track record in sensitive reuse schemes. We are eager to harness this potential to ensure a thorough investigation of the reuse of St. Peters is carried out, in line with Historic Scotland’s comments. The future of St. Peter’s lies in teamwork and collaboration between the archdiocese and the trust. With so much expertise and support on offer, it would be scandalous if we were to allow such significant buildings to continue their decline. We would hope that you are able respond personally to the issues we have outlined and to clarify the archdiocese position in light of Historic Scotland’s objection to your proposed works to St. Peter’s College.